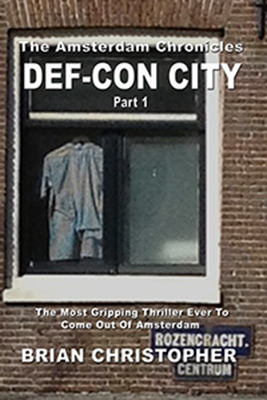 When the happy-go-lucky New York detective Harvey Wall arrived in Amsterdam for a six month work exchange program with the Dutch police, he thought it would turn out to be a long holiday with plenty of fun. His world is turned upside down as he tries to solve the strangest deaths he has ever come across in his working career. This is the first part of an epic trilogy that brings you on a roller-coaster ride through the streets of Amsterdam and the dark secrets it hides. Order a paperback from Amazon here. After apparently solving a series of mysterious deaths, NYPD homicide detective Harvey Wall believes he can enjoy his new apartment next to the Vondelpark in Amsterdam, and finally have a good time during his six-month work exchange program with the Dutch police. His world takes a strange turn when a body is discovered in a freshly made concrete pillar which has Mafia written all over it. Unknowingly, he is drawn into a world of deceit, death, and corrupt cops who rule Amsterdam as if it was their own playground. 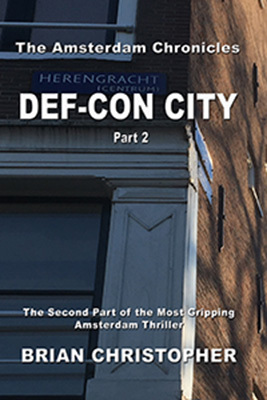 The second part of the epic trilogy connected to the Amsterdam Chronicles. NYPD homicide detective Harvey Wall thought his 6 month work exchange with the Dutch police was going to be a lot of fun - how wrong he was! 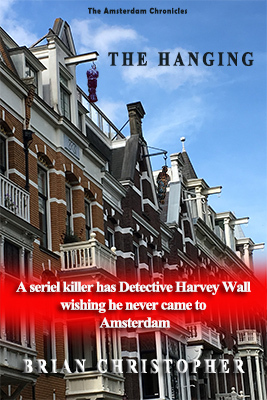 Fun loving homicide detective Harvey Wall from the NYPD does not believe his six month exchange work program with the Amsterdam police will last as long as he hoped. Recovering from a smashed collarbone, he is being charged with the murder of one man, and the attempted murder of another by the Dutch DA. When a new spate of strange deaths occur, his police chief Harry Ribb allows him to do some investigation work on the quiet. With one arm in a sling, detective Wall goes on the hunt that will lead him down a path of love, conspiracy and revelation! 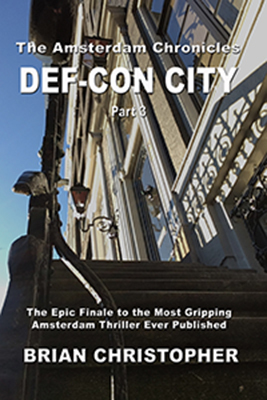 The third and final part of the epic trilogy The Amsterdam Chronicles, Def-Con City.